Looking healthy and happy, Johnny. Good to see. Scottish Cake, Stan's Dublin. Good smoking pipe. Congrats on the house, man. First castle. I had a 3 day radiothon this week. Our listeners donated 75 Grand for the local youth for Christ. I was on air for 20 hours in total. My brain is not functioning right now. Kentucky Club Continental Blend in a MM Diplomat. 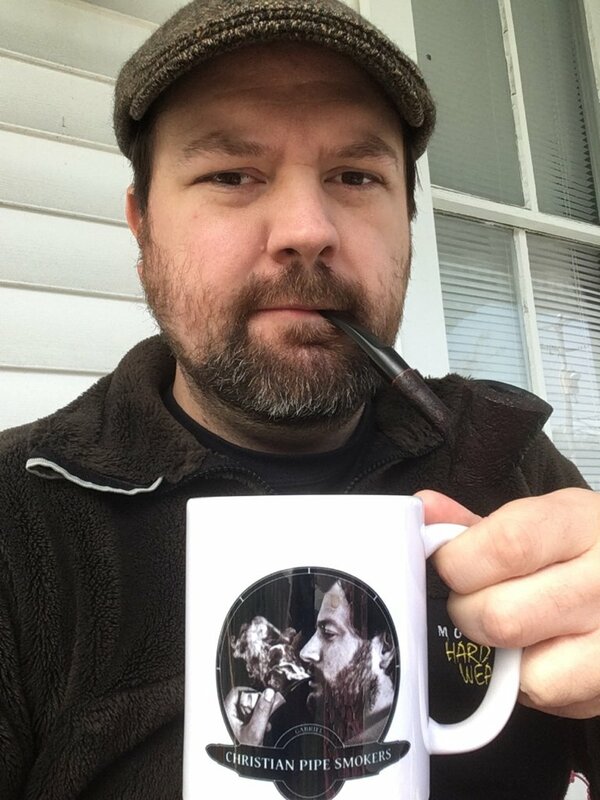 Nice pipe, nice mug, nice mug, and congrats on the house. I like Stan, he’s a swell fella. 2016 G.L. Pease Un-ion Square (Fog City Selection) full Virginia in the large, bent JoeGoat Scoop II. The tin was swollen and opened with a swoosh, like a soda can. This is my first bowl after halting the fermentation process. It's good. Way better than fresh. 2016 G.L. Pease Un-ion Square (Fog City Selection) full Virginia in the large, bent Tillshead Billiard. Last few days it’s been JFH Shortcut to Mushrooms in a few different pipes. Mowed my new lawn for the first time, I think that was the moment when I felt like the house was mine, it’s been a chaotic weekend, but I’m glad to be here.